View of Lisbon. Public Domain. Erasing the past destabilizes memory and fractures communities. If we are to live together in diversity, we must address the future of the city from an economic, cultural and social perspective. The key question is how to combine heritage and creativity. What can we expect in the future and what can we do about it? Charles Landry has some of the answers. Manuel Serrano: In The Origins and Futures of the Creative City you say that the city faces an escalating crisis that cannot be solved by a ‘business as usual’ approach. Can you explain what type of crisis you are referring to? Charles Landry: There are many pressures on a city. At the very top of the list, you have dramatic economic transformations – for example, 30 years ago, when companies closed their factories in Britain and moved them to Eastern countries -, the rapidly growing urban population, and the increasing movement of people across the world. These changes have multiple effects on cities. The cities’ system of government often fails to grasp the totality of the interconnected problems, let alone understand how to address them – because you can’t, unless you approach them holistically. Another escalating crisis has to do with the sort of capitalism we have at this moment in time: neoliberal capitalism. There is currently a huge amount of capital in the world floating around, looking for landing places, and this is why some people are able to buy 50 or 100 buildings in a given city, while others cannot afford to rent a small apartment. From an individual and a local perspective, the effect is this: a huge gap between the city rich and the city poor, which can lead to considerable unrest. Another escalating crisis has to do with the sort of capitalism we have at this moment in time: neoliberal capitalism. These phenomena cannot be dealt with a business-as-usual approach. In my view, what you need to do is to bring the different parties together, and you need to have an ethical foundation for your actions – which is hard considering the multiple interests of the parties involved. I believe a response to this is creativity – which in this context is to be understood as the capacity to be courageous: to think of solutions in an imaginative way and to pursue alternatives outside the mainstream. Creativity is the courage to address problems. MS: You say in your book that by combining heritage and creativity we may be able to address the current crisis. CL: It took me 30 years to come up with this sentence. Creativity is a renewable resource, heritage is not. Heritage can, of course, be reinterpreted – but physical heritage, when it´s gone, it´s gone. Creativity can help us find countless solutions to problems and generate opportunities. Creativity comes from creating the right conditions for people from all sectors of society to think, plan and act with imagination. Historically, creativity is legitimized within the artistic and the broader cultural sphere. But, of course, it has other manifestations: social innovators, creative bureaucrats, creative business people, creative lawyers... 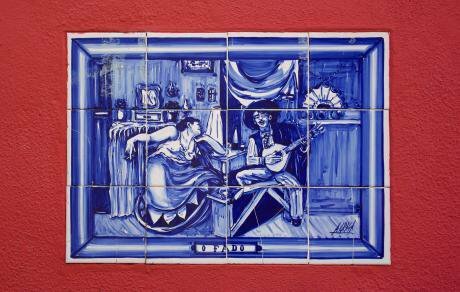 Cultural creativity is, however, quite important because, as the new economy emerges, many of the attributes that people working on the cultural fields have are precisely the ones which other sectors need most. We now work in a portfolio way: we have multifarious jobs and spend our time carrying out different activities. This is pretty much the way in which the artistic sector works. The new economy is immersive and experiential, and demands the attributes of people with some sort of artistic training. Creativity is a renewable resource, heritage is not. Heritage can, of course, be reinterpreted – but physical heritage, when it´s gone, it´s gone. But urban transformation is a balancing act, in which dilemmas are created that need to be addressed. More harmonious dynamics would require a set of guiding values and principles, a social ethics, in addition to clarity, incentives, and… heritage. As Jane Jacobs – who wrote about The Life and Death of American Cities – puts it, “new ideas need old buildings”. Valuing heritage helps to create a sense of anchorage, identity and belonging. Let’s look at today’s startup culture: in the Netherlands, for example, two thousand companies have established their headquarters in twenty-three old buildings. Why have they chosen to work in old buildings? Because they can feel history there, and they can sense that they are actually shaping the city, contributing to its evolution. And why are traditional companies trying to create such a work environment? It has nothing to do with nostalgia, it’s all about the future - our past is our future. And it’s all about complexity: vibrancy comes from complexity, from difference. Segmentation became the norm after the Industrial Revolution, and this trend went well beyond economic activities, erasing differences. What we are trying to do now is to get them back. MS: You say that “unleashing the creativity of citizens, organizations and the city is an empowering process, a new form of capital, and a currency in its own right”. Can you give us some examples of this? CL: Well, since I am now living in Berlin –a pioneer city in re-using old buildings – I can give you a particularly good example. Tempelhof was an airport famous for its Nazi and Cold War story, which became a green public space in 2010. The vast space was given over to Berliners - families, urban gardeners, kite-flyers - who have used it extensively. In 2015, city planners proposed to build in this vast space – in 25% of the field, approximately 730 acres – affordable housing, a large public library and a commercial area. Berliners held a referendum on the matter: seven hundred thousand citizens voted against it, and four hundred thousand voted for it. Berliners feel strongly about their city and they showed it this time again. When people feel they are co-creators of their environment, and co-responsible for it, you tend to achieve a higher level of sustainability. Short-term thinking may advise against participatory initiatives, but in the long-run they are actually more sustainable. Take for instance initiatives such as Gorilla Gardening: the gardening of abandoned sites or areas that have not been taken care of. Basically, what happens is this: people dislike what they see in front of their house or community and start gardening. And the end result is that citizens are improving the city, beautifying it, and taking control. This is just one example of how empowering creativity can be. Creativity can help us find countless solutions to problems and generate opportunities. Creativity comes from creating the right conditions for people from all sectors of society to think, plan and act with imagination. MS: What role should municipalities play? CL: There is a big battle now going on, all over the world, between national and local. Governments have the authority to sign international treaties and enact laws, but cities have more legitimacy. Authority and legitimacy are different things, but cities are where the problems are and where crises can be solved. There has been an attempt to put together a vision of what a city can be like, during the United Nations Conference on Housing and Sustainable Urban Development in Quito, Ecuador. Most participants agreed that the city is where major problems are and thus where they should be addressed. The Quito Declaration on a new urban agenda shifts power to the cities, making them the drivers of the solutions, over and above nation states. 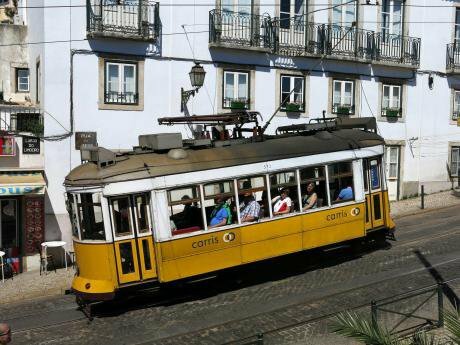 MS: You will be addressing in June a conference in Lisbon on the future of the city. What is the objective of this conference? 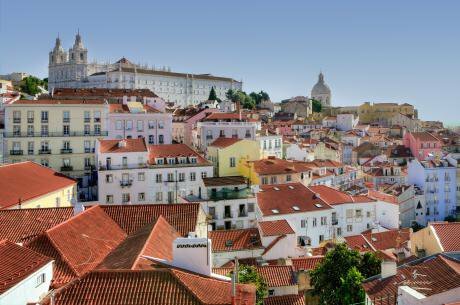 CL: The high-level Lisbon seminar in June aims to be a transformative event for the audience. It is a cross-sector initiative to help create a vision for Lisbon´s future that inspires and is both vibrant and vigorous. People today feel strongly about being heard - they want to have a say in prioritizing what has to be done in their city. This is why, when cities rethink themselves, all the city actors should be involved: urban planners, public entities, developers, the business sector, cultural institutions, and activists. The Lisbon seminar aims at being a catalyst for this, and at establishing the common ground for a more complex conversation about the future - of Lisbon, in this case.